LISTEN NOW! Greg, Steve, and Pat discuss the importance of not panicking; there are going to be some hard times but it will be necessary in order to bring in the harvest. They further discuss the prophetic dream Steve received where he found himself in the dream driving down a road only to find out that there were dead animals all over the road. It was very chaotic and his vehicle did not have brakes so he had to weave in and out as to not hit the dead animals on the road. Eventually he came to an intersection in which he had to make a turn. He made a hard turn and then he was able to make a phone call to Greg who then told him “don’t panic this is what it’s going to take to bring in the harvest.” He also confirmed with him if he had his 90 days of food preparation for the tough times that lie ahead. They further discuss how we have a rough future in store for us in light of continual policies that are anti –Israel most recently forcing Prime Minister Benjamin Netanyahu to seek help from Russia. Today every time you board an airplane the stewardess shares several instructions that are important to follow most important is to first put an oxygen mask on yourself first and then the child. The concept is that you can’t begin to help anybody if you yourself can’t breathe. In the same way we have shared wisdom with others about securing food for themselves and families so that when hard times do come at that moment their lives can be in investing in people and not staying on a “cheese” line for help. This nation is about to look up into the light and when it does it will result in a huge harvest where many people will have given their hearts to Jesus. They continue to encourage us not to panic but know that these things have to come but you can prepare yourself. They share how they have seen stadiums filled with people who are hungry for God. Now more than ever they underscore the importance of making sure that you know the one that you profess and that he, Jesus, knows you. There is a huge difference between religion and relationship. They remind us that many today are wanting a genuine experience with God they are just waiting for Christians to share with them their personal testimony of how they accepted Jesus. 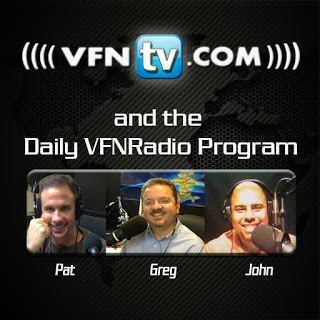 Greg, John and Pat discuss the nuclear option and about the new deal reached in Geneva to ease sanctions on Iran. A deal that Israel’s Prime Minister Benjamin Netanyahu calls a historic mistake. This is important because right now Muslims believe that their “messiah” is going to come out from a hole in the ground in Mecca. However, they also believe that he will come in a chaotic war time. Their narrative lends themselves to stir and start war with Israel. This is an anti-Christ, anti-Jesus religion. They caution us to have a vertical view and to understand that it is not about America. At the same time these meetings were taking place in Geneva regarding easing sanctions on Iran which essentially encourages them to continue in their plan to enrich uranium for a nuclear bomb that they would love to strike Israel with, Harry Reid leader of the United States Senate pulled what is being called the “nuclear option” which would essentially put an end to filibusters enabling this administration agenda to pass with little hindrance from those who oppose. The United States are praising their efforts in these talks as Benjamin Netanyahu calls it a historic mistake. According to CBN, Iran is very pleased with how the talks have gone CBN reports “Iran’s president sees the right to enrich uranium as the keystone to this agreement. He said the world powers have now recognized and legitimized Iran’s nuclear rights. “No matter what interpretations are given, Iran’s right to enrichment has been recognized in the text of the agreement,” Iranian President Hassan Rouhani declared. “And for that reason, I announce to the Iranian nation that Iran’s enrichment activity will continue as before.” This agreement essentially says Iran is a legitimate nuclear power. They encourage us to understand what is being said; Iran is now a nuclear power with an apocalyptic government. Benjamin Netanyahu has spoken plainly that he will not allow Iran to have a nuclear weapon that they plan to use against Israel. The question to ask is; are we on the precipice of WWIII and if so it’s time to pray like never before for Israel and the world.